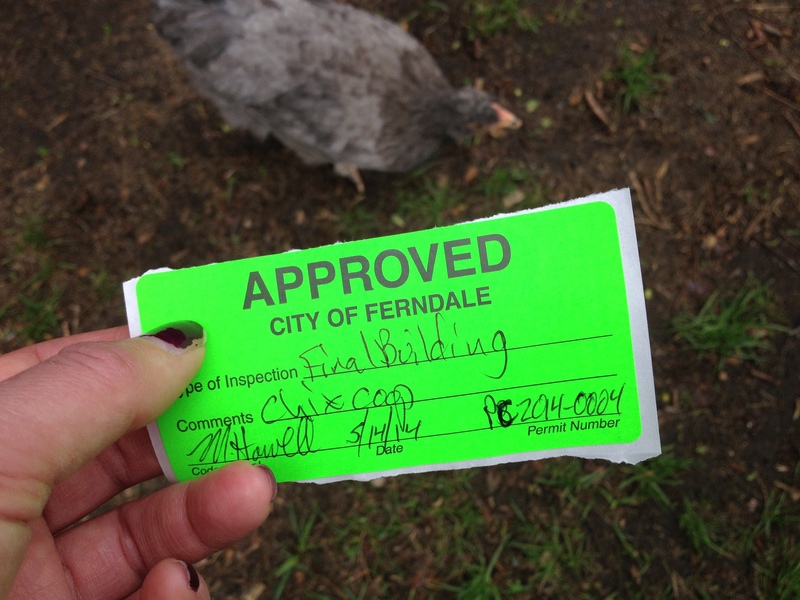 I don’t know if your town is the norm for requiring inspections and permits, but our county just passed a county code change last July to allow 4 backyard chickens and no roosters. The coop has to be enclosed and is the only requirement and as long as it is under 120 sq ft, no building permit is required. Funny thing is that my neighbor two doors down has had chickens for about four years and nobody ever said anything. You just don’t hear them! Maybe it’s because we all have two acre wooded lots. That is so cool that you are allowed to have chicks so close to a large town. We are outside the city limits but not zoned agricultural. Makes a big difference!